James Bolton was an English naturalist, botanist, mycologist, and illustrator. Born near Warley in the West Riding of Yorkshire in England in 1735, he was the son of William Bolton, a weaver. James initially followed in his father’s trade, but later became a self-taught art teacher and finally a publican in his home village of Warley. Bolton’s final published work was Harmonia Ruralis, an “essay towards a natural history of British songbirds,” issued in two volumes (1794–1796). 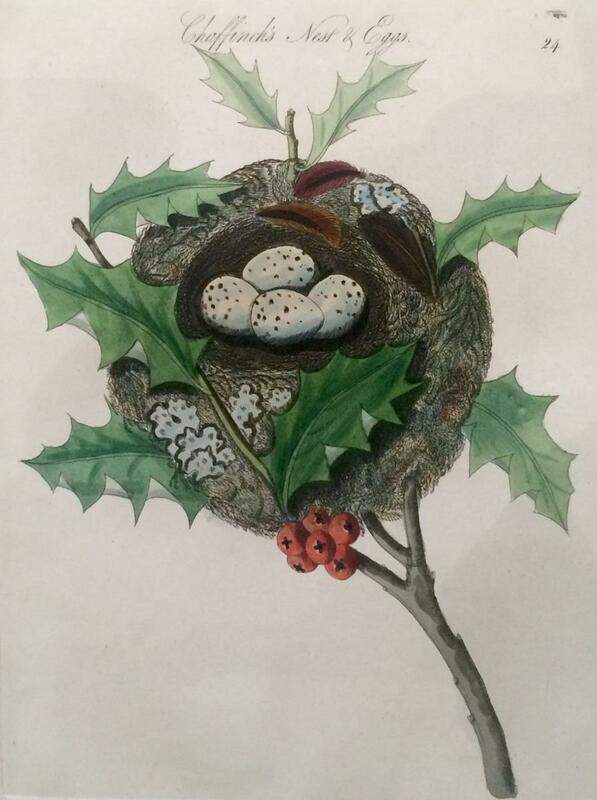 Birds and their nests were drawn from life, while the text contained many of Bolton’s first-hand observations. The popularity of the subject matter led to two subsequent, but posthumous editions in 1830 and 1845.